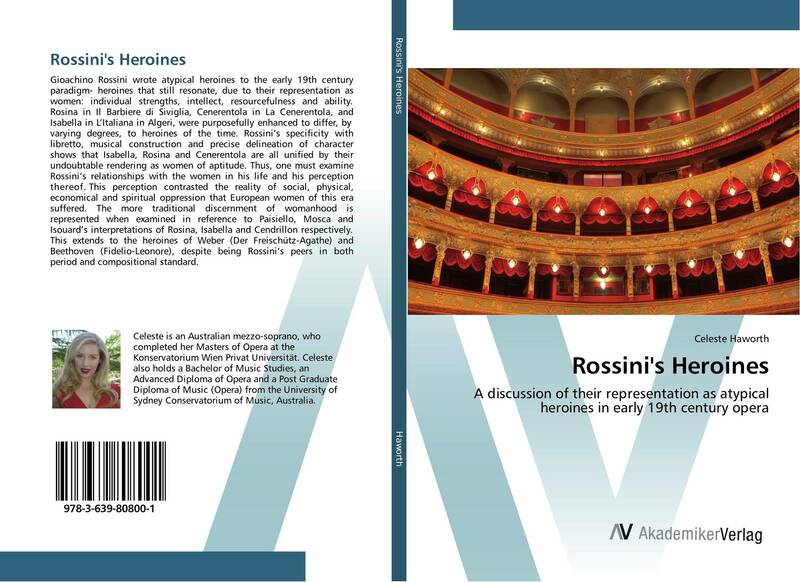 Gioachino Rossini wrote atypical heroines to the early 19th century paradigm- heroines that still resonate, due to their representation as women: individual strengths, intellect, resourcefulness and ability. Rosina in Il Barbiere di Siviglia, Cenerentola in La Cenerentola, and Isabella in L’Italiana in Algeri, were purposefully enhanced to differ, by varying degrees, to heroines of the time. Rossini’s specificity with libretto, musical construction and precise delineation of character shows that Isabella, Rosina and Cenerentola are all unified by their undoubtable rendering as women of aptitude. Thus, one must examine Rossini’s relationships with the women in his life and his perception thereof. This perception contrasted the reality of social, physical, economical and spiritual oppression that European women of this era suffered. The more traditional discernment of womanhood is represented when examined in reference to Paisiello, Mosca and Isouard’s interpretations of Rosina, Isabella and Cendrillon respectively. This extends to the heroines of Weber (Der Freischütz-Agathe) and Beethoven (Fidelio-Leonore), despite being Rossini’s peers in both period and compositional standard.